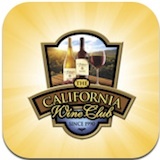 Get Food and Wine Pairing Tips On-the-Go with The California Wine Club's Food and Wine Pairing Wheel. Shopping for wine the other day, I wandered down an aisle full of Spanish reds, and suddenly thought, like Homer Simpson salivating over a burger, "Mmmm, RiOOOOja." It had been a while since I last sampled this historic, Tempranillo-based red from the Basque country in northeastern Spain, and it's usually easy to find a few $10 goodies among the highly rated trophy bottles. There's a familiar name: Montecillo. And whoa! Look at that red label! "Desde 1874"? You've got to be kidding me! A 137-year-old wine? Well, no. "Desde" means "from" or "since" in Spanish, and the sizable golden numerals that stand out on the front of the bottle don't represent its vintage (actually 2007) but celebrate the historic winery's 19th century founding. The lesson, of course, is simple: If you see something on a wine label that seems too good to be true, check again, and read the smaller print. In fairness, I don't believe Montecillo sought to deceive. The actual vintage is also prominently displayed, and if I don't translate Spanish words like "Desde" on sight, I have no one but myself to blame for being an obligate Anglophone. And the wine itself, Montecillo 2007 Rioja Crianza, was a goodie, in the dry, tart and tannic European style. The name "Crianza," (pronounced "Cree-ahn-zah,") comes from the Spanish word for "nursing" or "bringing up." In Rioja and the Ribera del Duero region, the law requires that Crianza spends 12 full months in oak, plus at least 12 more in bottles. This may seem like a long time in wood, but in Spain, where oak aging is traditional, Crianzas are actually in the least-oaked category - you'll need to look for "Riserva" or "Gran Riserva" if you want still more. The wine is appealing, a fine food match with meat, cheese or hearty vegetarian fare, and the price is more than fair. You'll find my tasting report below. I've already got this app running on my iPhone. It makes it easy to pair food and wine like the experts, easily choosing wine matches that will bring out the best in every meal or snack. * In restaurants, to help you pick the perfect bottle from the wine list to enjoy with your meal. * In the grocery store, when you are picking up ingredients for your dinner. * At home, if you need a suggestion for this evening's dinner. The app is intuitive and user-friendly. * Simply pick your meal category from the top menu bar. * Spin the wheel to find your tasty choice. * See the wines that pair perfectly. The wine listed in bold type will be your No. 1 choice to pair with this selection. Find it in the App Store on your iPad, iPhone or other iOS device, or click this link to find the app in iTunes. FOOD MATCH: It was excellent with an experimental dish, pulled "pork" barbecue made with soy curls, a meatless alternative, but it would be just as good with the real thing, or red meat in just about any form, or a chunk of Spanish Manchego cheese or just about any milder cheese of your fancy. VALUE: As noted, my local price at the $10 point is quite fair for a decent, well-balanced entry-level Rioja. It is widely, internationally available, and Wine-Searcher.com shows a wide range of retail prices from about $8 to $14, with one Colorado shop asking an insane $20, so if your local market is on the high side, you may wish to shop around. WHEN TO DRINK: Quite drinkable now, but if you have decent cellar conditions, there's no reason not to save it, and watch it evolve, for five years or more. WEB LINK: Here is the U.S. Importer's information page about Montecillo. Find vendors and compare prices for Montecillo Rioja Crianza on Wine-Searcher.com.